Award winning children's author Pat Mora joins us in the store to read from her new book The Beautiful Lady: Our Lady of Guadalupe. We will eat biscochitos and make paper flowers with Bookworks' Contessa Connie. Pat Mora, Yum! Mmmm! Que Rico! Americas' Sproutings. ; Laura Resau, Red Glass. 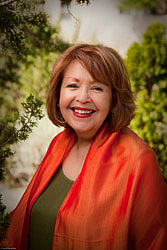 Pat Mora is currently considered a "single author." If one or more works are by a distinct, homonymous authors, go ahead and split the author. Pat Mora is composed of 2 names. You can examine and separate out names.